Predictive Consulting Group can help you dramatically increase revenue by creating loyal, engaged customers who are immune to competitive pressure and actively invested in your success. 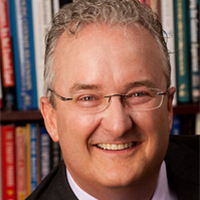 Curtis N. Bingham is the world’s leading authority on customer engagement and Chief Customer Officers (CCOs). Based on more than a decade of research and best practices in Fortune 500 clients, Curtis developed the customer engagement metric as the next evolutionary step beyond customer loyalty. Curtis is the executive director of the Chief Customer Officer Council™, the first peer-led advisory group for CCOs. He was the first to promote the CCO role as catalyst for customer centricity and has worked with more than 200 CCOs in companies large and small from around the world to create customer-centric cultures and drive profitable customer loyalty and engagement. For more than 20 years, Curtis has helped companies dramatically increase customer acquisition, customer retention, and customer profitability. He‘s uncovered millions of dollars in hidden profits for companies like Intuit, Microsoft, Standard & Poor’s, Cardinal Health and smaller businesses. Married with three children, Curtis is also heavily involved with the Boy Scouts of America. Evenings and weekends are usually spent enjoying his love of the outdoors and helping develop character, citizenship, and life skills in each Scout. Curtis’ work is vastly superior to most that I’ve seen in the marketplace today! His marketing strategy is innovative and creative, and his marketing collateral is simple, concise, impactful and generates tangible results! I highly recommend Curtis Bingham for his abilities to gather marketplace insight and turn it into invaluable practical advice necessary to grow your business. Using in-depth customer insight, Curtis helped us create and sharpen many of our corporate strategies, define and strengthen our value proposition to the VC community as well as to the marketplace, establish & secure our competitive advantage. We now have a much clearer understanding of our marketplace, the specific opportunities therein and the marketing and sales strategies and tactics we need to be successful. This knowledge is invaluable as we market, sell, and ship our flagship product.